Home / Modern Pest Blog / Are there Health Risks to Bed Bugs? Are there Health Risks to Bed Bugs? Just the word “Bed Bugs” often causes individuals to cringe and get the heebie-jeebies. With a rising increase in bed bug infestations, there is no wonder why. Known as the “hitchhiker” of the bug world, bed bugs can easily climb aboard and be transported to any public location, such as theaters, hotels, airports and more. It is probably safe to say that no one is interested in sharing their personal space with these annoying, biting and very difficult to get rid of pests. But what are the health risks of bed bugs and should you be concerned for your well-being? While not common, some individuals may be hypersensitive (anaphylaxis) and have a severe allergic reaction to bed bug bites. In which case, we, of course, recommend seeking immediate medical attention. However, some people may only experience mild reactions, and most others will have no allergic reaction at all. Bed bug bites are known to be very itchy and annoying. Like mosquito bites, bed bug bites could become infected if scratched, due to the introduction of germs into the wound. Especially, since it is possible to scratch unconsciously at the bites during sleep. Mental Health is something often ignored as a health concern. However, your mental well-being is known to impact your physical well-being. For instance, insomnia, stress, depression, and social isolation are all very real issues for those suffering from a bed bug infestation. When bed bugs keep you awake all night, it can begin to affect your stress and emotional levels. You may not be able to focus, become irritable, anxious or even lose your appetite. Whether you own a home or business, early detection of bed bugs is critical, but it’s only the beginning. As soon as bed bugs are suspected, call Modern Pest Services for a thorough inspection to determine the extent of the infestation. Then a treatment strategy and follow-up plan will be discussed. Modern Pest Services offers both conventional chemical treatment and Thermal Remediation® or heat treatment (electric or propane) to its commercial and residential customers throughout New England. Our Heat Treatment program is environmentally friendly and a safe alternative for immediate results. Modern Pest Services also provides a more economical and traditional chemical solution for effective results. 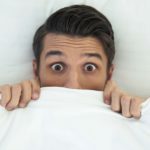 If you suspect bed bugs… don’t wait! Give yourself peace of mind and call Modern Pest Services!